Little Italy was built by the fishing industry. Ironside attempts to continue that narrative. 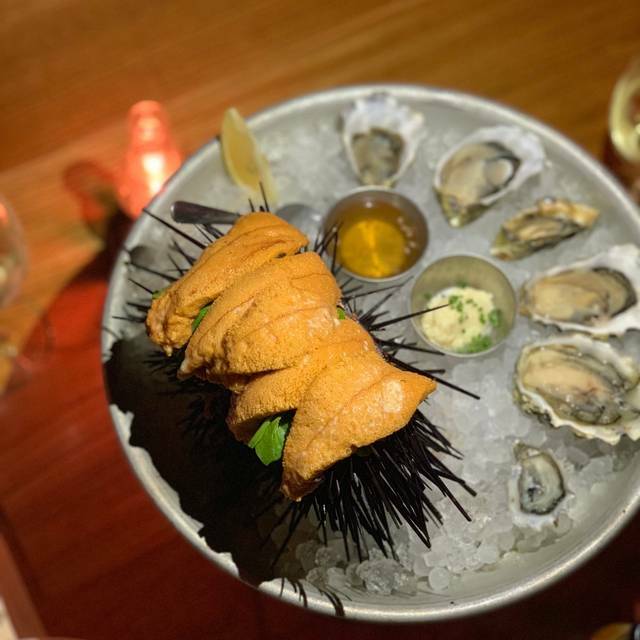 It's our contemporary interpretation of the classic fish house and oyster bar. 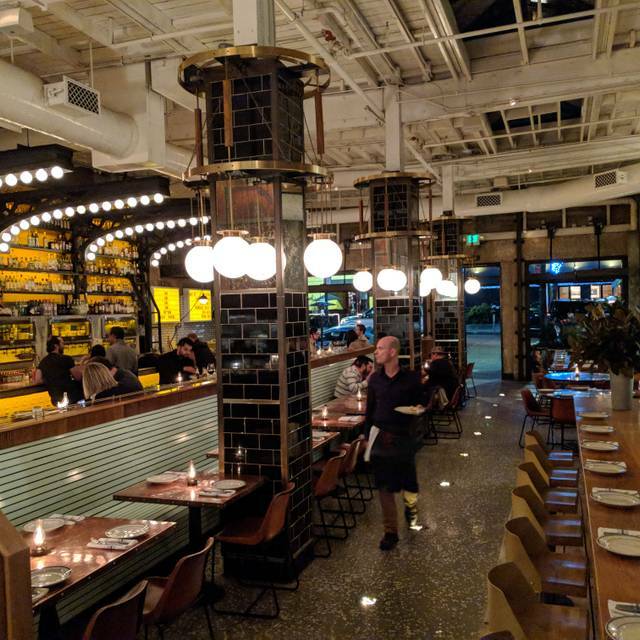 Located in a historic auction house on India St we did a full comprehensive restoration of the building, with three open-air culinary hubs featuring an expansive raw bar, chefs table, and bakery. We tried to be mindful of the past while looking towards the future. 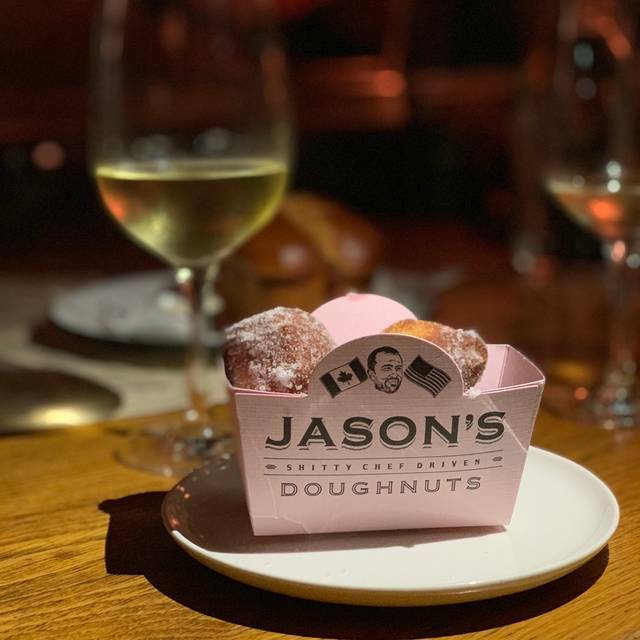 Reservations do not guarantee a dining room table, but may be seated at our elevated lounge tables, shared community tables, or counter-style seating depending on availability. During our happy hour, we serve chef features, guest favorites and have a limited menu. Did counter seating (pastry counter) and enjoyed a great meal. Super cocktails, well informed servers and fantastic food. The food and ambience was great. Some of the oysters I was not a fan of. Overall cute spot. Took mom out for oysters. Fresh food. 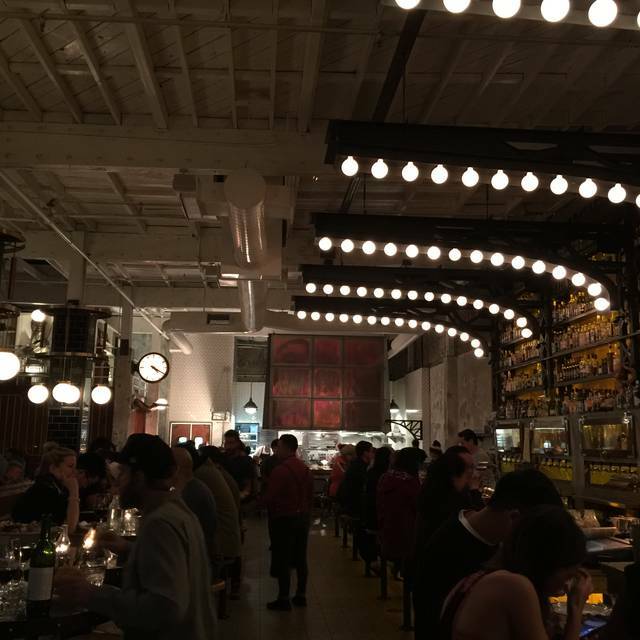 Delicious oysters, great atmosphere. We requested a different table than the one assigned because the tables were too close for us to have a private conversation. We were pleasently accommodated. Food was good and service was good and appropriately timed. 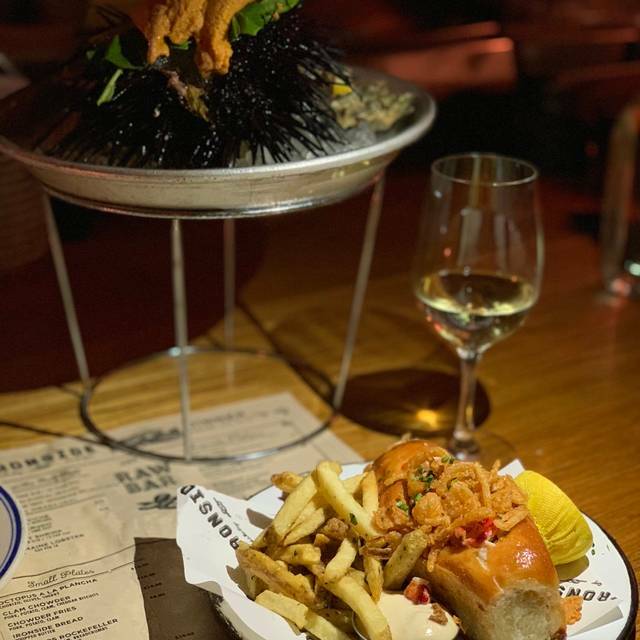 INCREDIBLE selection of unique seafood dishes. Everything was top notch. Service was wonderful, and the hostess provided us two seating options, even though only one was available when I reserved. Server also let us take advantage of the happy hour! We had a reservation and they tried to seat us at the worst table , behind the hostess station on one side and next to a large pillar on the other side. Then when we protested they tried to seat us at a raised table with a stool without a back. On the third try we we given an acceptable table. The food was very good, but the service was slow. 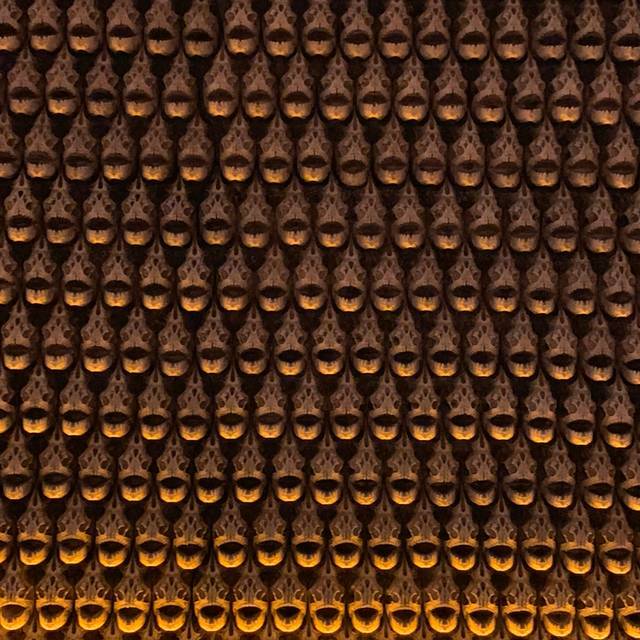 The decor was interesting, but the wall of piranha skeletons was unsettling. Not any of the restaurant's issue, but the guy at the adjacent table was OVER the TOP loud and obnoxious. Happy hour oysters were dry (like they had been shucked hours before serving). We could see the evaporation line about 3/4" into oyster. Other oysters were great. And, good service made up for micro size table and seating very close to the neighboring diners. Great place for dollar oysters and good happy hour. Food was surprisingly uninspired and the flavors were quite muted compared to previous visits. Absolutely amazing food and drinks! Service was excellent! Love the ambience and location! Food and service was excellent. Bar service was fantastic, as well as a good happy hour. Very glad to get best table for hearing impairment. Octopus was good but texture was odd. Over-tenderized? Lobster portion in roll was boarder line skimpy. We've eaten here several times. Really enjoy the fresh quality and unique preparations. Loved the oysters even though paid full price, not happy hour price. Waiters are knowledgeable and efficient. Pricey, but good vibes. Will go again when in San Diego. I came here for a lunch. The reviews were raving this place, and...it was true! I loved everything they offered. The outdoor seating was very limited but since I came right when they opened I was able to sit outside. Loved the vibe and environment. This is one of the best sea food restaurant in San Diego. The fresh was fresh and extremely well prepared. The accompanying sauces were delicious and the service was excellent and highly attentive. Everything about Ironside was great. The decor, ambiance, service, and most importantly the food and drink. We ate here over our vacation to San Diego and enjoyed it more than any other meal. 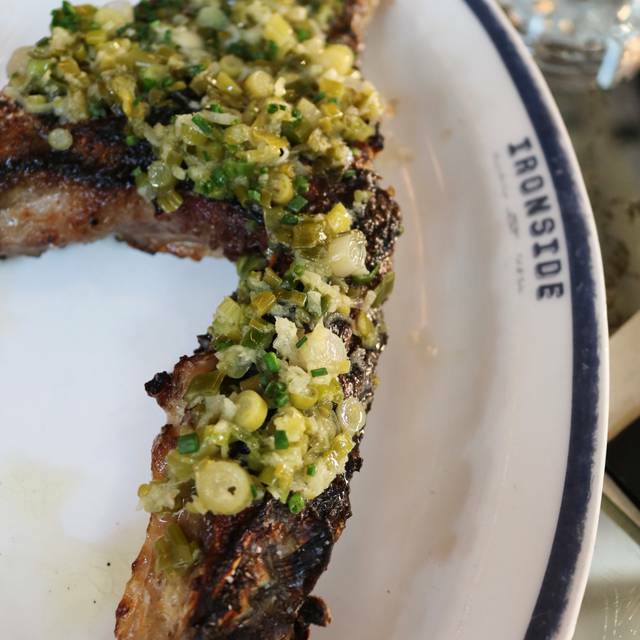 Little Italy is a wonderful stretch and Ironside did not disappoint. Highly recommend for anyone local or visiting! I liked this place in general, but it wasn't what I expected exactly. Their selection of fish is pretty limited for a fish place. Additionally, portion sizes were embellished. I felt as though it is a bit overprices for what it is. I didn't try the drinks, but they appear to be popular. It's a nice looking place, the staff are friendly, and the food is good, but I don't think you get what you pay for. The food was without reproach, but the service was off putting. The server was bit arrogant and perhaps thought he was superior to his position as our server? Kind of strange vibe all the way around. I didn’t enjoy the overall experience and will not be back despite the excellent food. There are too many other restaurants that serve great food and try hard to make you feel welcome and grateful to have your business. Service and food excellent. However in calling the restaurant no one answered and I was put on hold for over 15 minutes. Finally hung up and did an OpenTable rez which was perfect. Women at front are a bit cold and unfriendly. Server was great. Food is top notch. Chowder was a bit tepid but that seems to be the trend these days. 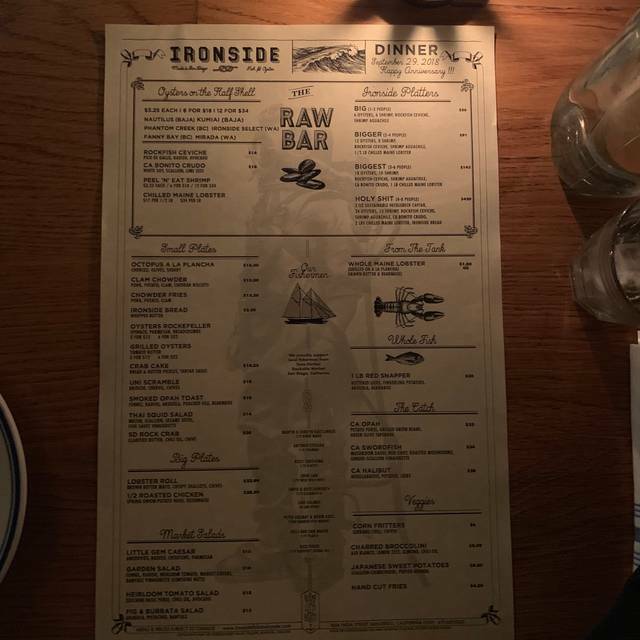 My favorite place to get raw oysters in San Diego. I’m disappointed and incredibly let down by this place. I’ve been looking forward to having a meal here since everyone raved for it. I’m 100% sure everyone has been blinded by the cool decor to even notice the following: Overpriced items for below average quality dishes. The only decent item we tried was the octopus, everything else people raved of (clam chowder, lobster roll, oyster, etc.) was disappointing. This place is also warm/humid inside. We kept having to ask for ice (to add to our water because it was hot inside) but the waitress kept forgetting to bring us ice. On top of that, the waitress never returned to inform us whether Uni was available. She said she would check but never returned. The best in San Diego! I have never tasted the octopus that tender before. Super good food and service! Parking is a nightmare (even at lunch) and the place was a little on the warm side but nothing enough to stop me from coming back for more! There was a food limited selection and food quality mediocre. The higher end items aren’t as good as the cheaper items. The grilled oysters were a $22 scam. Smallest things I’ve ever seen with my naked eye! Chowder was good. Red Lobster has better cheddar biscuits, though. Food is delicious. Ambience superb. Hostess, busser and servers were all very attentive to our needs. Will return! It was my birthday and they treated me like a princess! 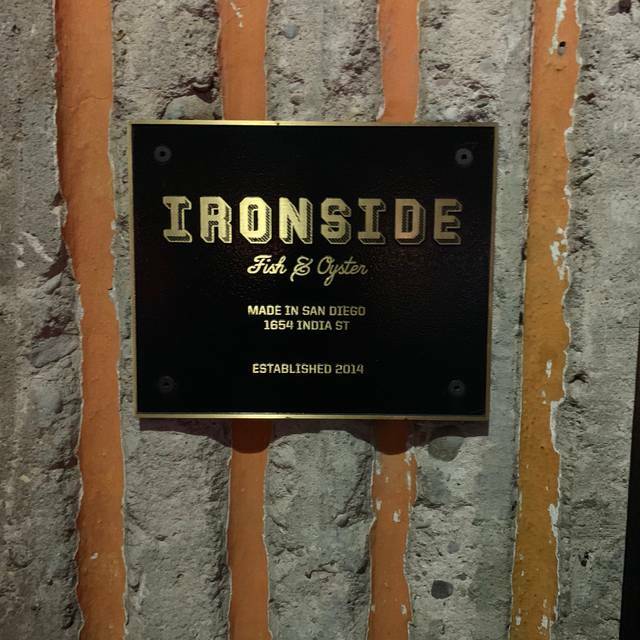 Absolutely love Ironside F&O! From start to finish this place is amazing and classy. The hostesses in front are friendly and they very customer focused. The bartender (Sean) we had while waiting for our reserved seats (we switched to a larger table) was lovely. We didn't get to hang out there long but his customer focus spirit was something I noted. As usual, the cocktails in most restaurants in San Diego (feel) are pricy, and it is the "price" you have to pay to dine here I guess. Our wait person was Amber - was also great! Personal / Customer Service connections is top priority for me and the staff at Ironside pass with A's. The food was also so good. We had raw oysters - very good. I recently started eating oysters and these were great, I had the branzino fish - it was huge (way bigger than at seersuckers) and was very yummy! LOL - yep, Yummy. My friend had halibut and loved it. The only not great part is that everything is a la cart. For the prices of the proteins, there should be at least one side option included. We ended up ordering and sharing the white sweet potatoes which were divine. Just wished they came WITH one of the meals instead of additional. The food - for taste - gets A+. My 20 th review probably but here goes! Great bar interface wine, great servers !